One Girl One Dream portrays family violence against women, a disease that is prevalent and transcends all class and cultural barriers in our society. 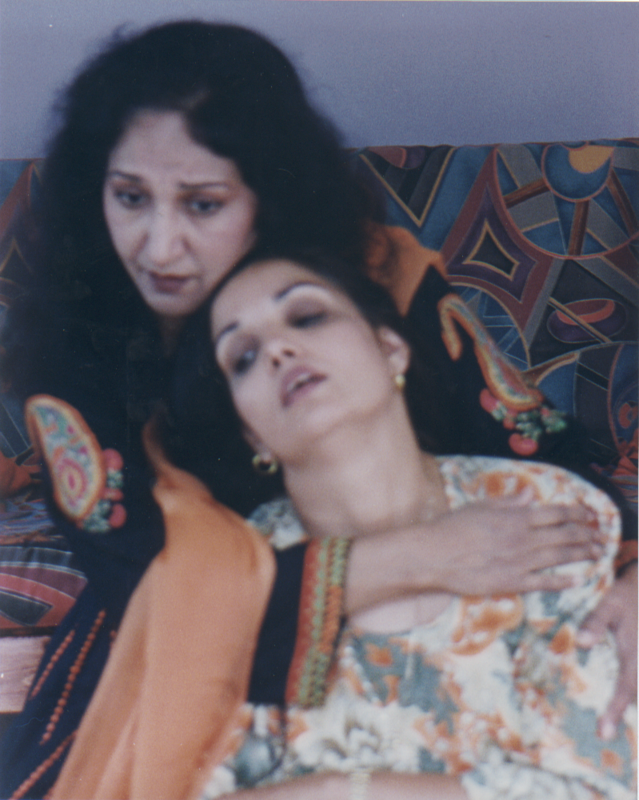 Kanti (played by Darshan Mann), a battered house wife is at the verge of mental break down when her close friend, Mindi (Surjeet Kalsey) visits her. 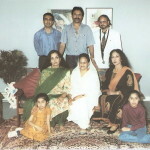 Mindi visits Kanti and her daughters, Barinder and Harinder Brar) on Nikku’s birthday, never celebrated before, and leaves after a few minutes to buy the birth day cake… Kanti talks and laughs with her mother (Amrit Mann) in imagination… Kanti’s husband, Joe (Bhupinder Dhaliwal), comes home and beats up Kanti… Joe leaves with his friend Mukand (Amarjit Chahal), a fun loving character, to a club… Mindi returns with the birth cake but finds Kanti in a bad situation… Mindi tries to comfort and support Kanti who loses control on her mind… The play ends with a visit by doctor Kapoor (Ajmer Rode) and an shriek by Mindi. 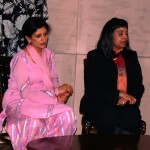 Family violence normally shown in the background is shown on the stage in this play. It may be hard on some members of the audience, particularly the children but we believe it is time this ugly aspect of our society is brought out in open. 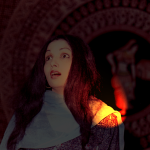 Punjabi play One Girl One Dream written and directed by Ajmer Rode presents a stark picture of violence against women, a disease that afflicts human relations deeply. 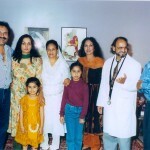 The play was staged on 20 August 1995 (North Delta Secondary School) as a part of the cultural program, Visions of India, produced annually by Punjabi Women’s Association. More than 600 people attended. 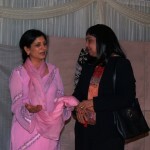 The play centers on the life of a young Indo Canadian house wife who is a victim of domestic violence. The play starts when Mindi (played by Surjeet Kalsey) arrives to hand over Kanti (Darshan Mann) a gift that has come from Kanti’s mother living in Punjab. Kanti’s daughter, Nikku (Barinder Brar), has her tenth birthday today. Mindi goes out to get a birth day cake and balloons etc. The gift takes Kanti back to her past. 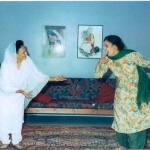 She starts talking and laughing in her imagination to her mother (Amrit Mann) who appears and eludes her on the stage. 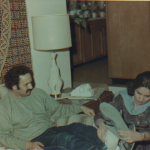 Kanti’s husband Joe (Bhupinder Dhaliwal) comes, becomes suspicious of the gift and beats up Kanti severely. 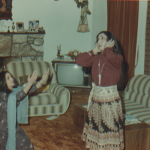 Nikku and her younger sister, Joti (Harinder Brar) are terrified. 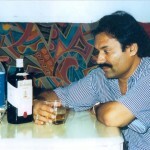 Mukand (Amarjit Chahal), a fun loving friend of Joe comes. Joe leaves with Mukand to a dance club. Mindi returns with the birth day cake but Kanti by this time is at the verge of mental break down. She confuses Mindi with her mother, sometimes with Joe. Mindi, trying to bring Kanti back to normal, herself endures a great mental stress. Towards the end Dr. Kapoor (Ajmer Rode) comes but is of no use to Kanti. The play ends with Mindi’s painful and angry shriek, symbolizing the protest against the continued oppression of women in our society. One Girl One Dream was sponsored by, Samaanta, an organization formed to oppose violence against women, and was introduced on the stage by Honorable Penny Priddy, the BC Minister of Women’s Equality. A woman after becoming a mother expects to enjoy love respect and freedom in her house. Instead she suffers, in most cases, insults, indignation, violence throughout her life. This play was staged in Vancouver thirteen years ago. At that time violence was shown behind the curtain as is normally done in plays. This time we felt the time had come to expose this ugly and hidden aspect of our social life openly on the stage. One Girl One Dream is a psychological play. At the very start Kanti shows signs of losing control on her mind. With the arrival of Mindi, Kanti’s crisis that has been building up for years erupts pushing her to the brink of insanity. 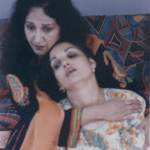 This fast change in her mental state was not easy to portray on the stage; it was a challenge for actors as well as for the director. 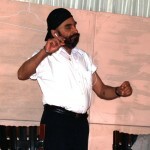 Roles of suffering and afflicting violence were physically and emotionally draining but were handled on the stage with great dexterity and intensity by Darshan Mann, Surjeet Kalsey and Bhupinder Dhaliwal. And although understood, we want to reemphasize the fact that roles done on stage have nothing to do with the private lives of the actors. Our sincere appreciation and gratitude goes to Mrs. Harbans Kaur Mann and Mr. Niranjan Singh Mann for hosting the rehearsals; Inderjeet Rode for preparing and transporting the set; Surinder Thind for photography; Dr. Amrik Panesar for his advice and lending us his personal equipment. 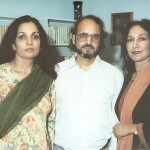 We have received many many responses from the audience: The play ended too abruptly… the play was too dense… the man should have been punished… when selecting actors their private views should not be ignored… the violence shown on the stage was excessive… the violence on the stage was nothing compared to real domestic violence… the acting was wonderful… etc. 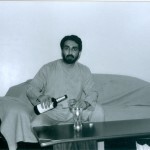 etc. We are thankful to all. We intend more performances of the play in future. Criticism and comments are welcome.